Most people think of iconic series’ like Super Mario or Sonic when describing the games that have influenced them the most. I can’t blame them. But most gamers will also have a great story to tell you about some quirky, lesser known title. For me, that quirky title is the 1995 PlayStation version of Worms. The experience? Well, one of my best friends was unfortunate enough to break his leg that year, which meant six weeks honing our skills with bazookas, banana bombs (and the occasional prod) whilst he was stricken on the couch. Those moments have lived with me ever since. Unfortunately, the Worms games that followed never seemed to resonate with me to that same extent. Time after time, I’ve found myself bored with whatever gimmick the latest offering was built around. 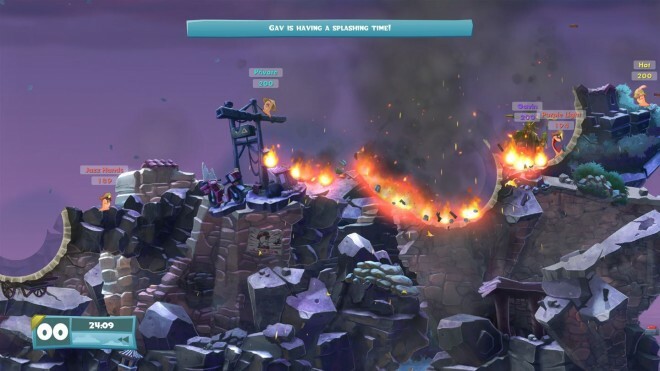 Worms W.M.D is different though, because it somehow manages to capture the magic of the original Worms whilst also introducing a range of new features such as vehicles, crafting and all of the modes you would expect to be present, including local hot seat multiplayer and online matchmaking. 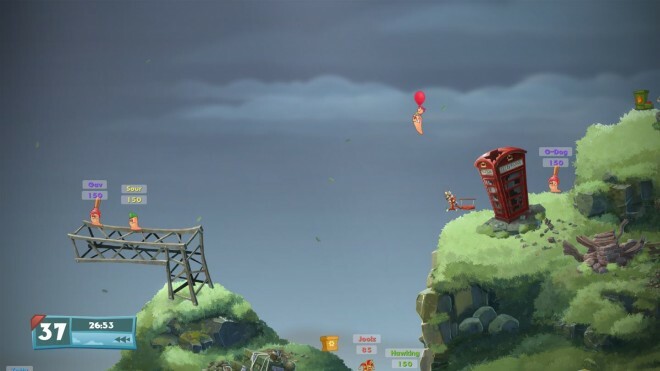 Really good fun – Most importantly, Worms W.M.D is great fun no matter how you play it. Whether you are alone in the campaign or challenge modes, or with friends offline or via Xbox Live, the games unique personality keeps you entertained. The humorous look and feel that comes with all Worms games underpins deep, strategic and often challenging gameplay. Few things happen in Worms W.M.D without causing at least a smile, especially when you’re playing locally. Slightly over the top physics can easily unhinge even the best laid plans, and it’s not uncommon for stray bazooka rounds and bouncing grenades to backfire against an overconfident player. This acts as an excellent means of leveling the playing field, but still ensures that the best players will (usually) win. 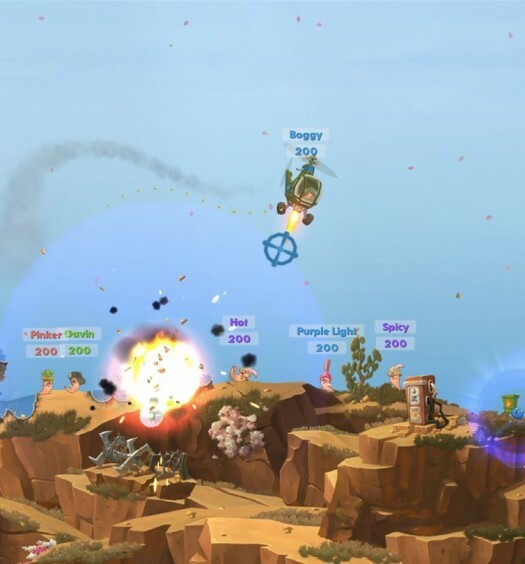 Feature rich – Worms W.M.D features a ton of single and multiplayer modes that are available both online and offline. Solo players will tackle a range of training, campaign and challenge modes offline and can venture onto Xbox Live for various matches against other teams of worms. 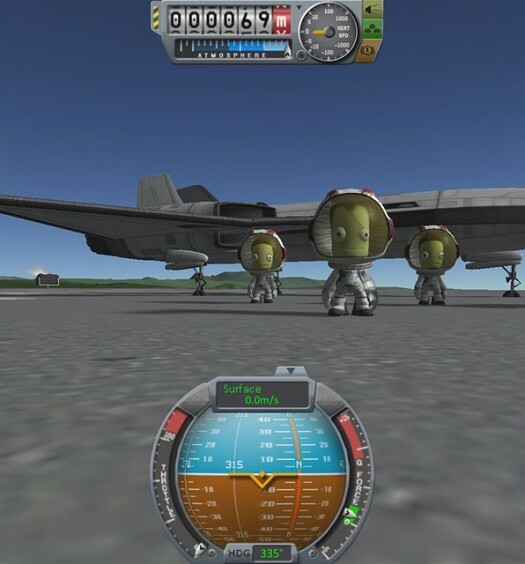 The best mode will always be offline multiplayer because there is nothing quite as satisfying as blowing your friends to bits whilst verbally abusing them (in a “friendly” way) at the same time. 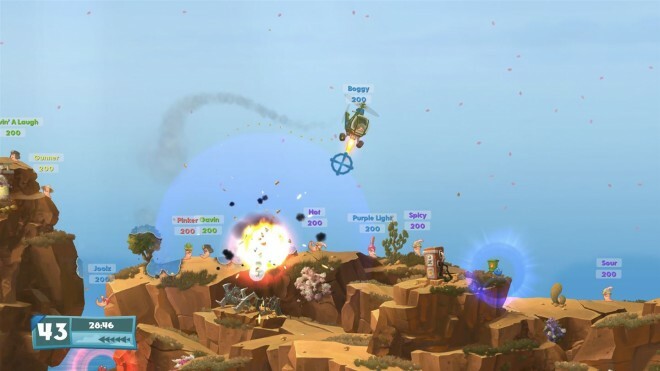 However you choose to play Worms W.M.D, there are several thousand unlockables to work through, and a huge raft of customisation options for your teams of worms that only serve to enhance the feeling of fun and personality that typifies the Worms games. 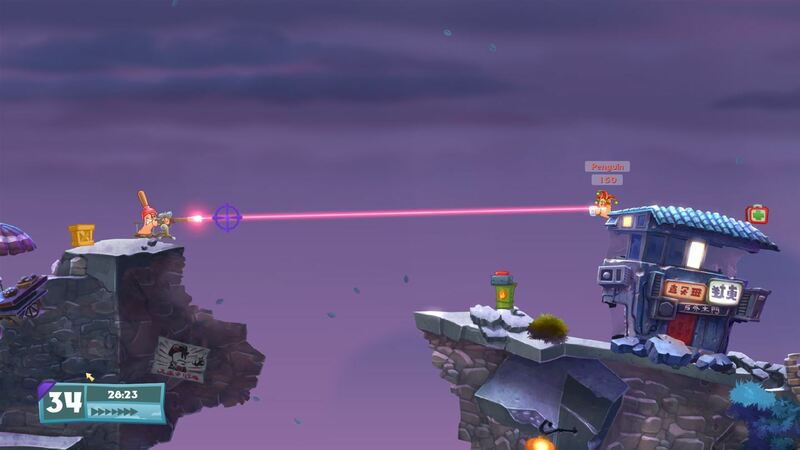 The right introductions – In addition to including all of the classic weapons that Worms fans love, Worms W.M.D makes a few key introductions that only serve to enhance the experience. Crafting is a minor but welcome addition that enables players to dismantle and rebuild weapons they already have to create more powerful variants. The fact that crafting can be done during the enemy turn is a great inclusion. Vehicles and mounted weapons are the other major inclusions. Some unique weapons are seemingly borrowed from other games (such as the Dubstep Gun from Saints Row IV). All of these inclusions are powerful and should be used tactically, but none of them in isolation are capable of winning the game. That precious sense of balance remains excellent in all but the most unusual of rounds. Occasional slowdown – I don’t really understand why it happens, but occasionally the frame rate in Worms W.M.D can slow to a snails pace. It is sometimes clearly associated with a massive explosion, but on other occasions it is simply because you zoom out or open the weapon select menu. Thankfully, there are no other technical issues to report, so hopefully this one can be patched fairly easily in the future. Nothing else – I’m not saying Worms W.M.D is perfect, but it is probably the perfect Worms game. Thus the flaws of the series are also the flaws of W.M.D, and although I don’t personally find these issues much to complain about, others might find the over the top physics frustrating. Luck also plays a part in some games, with weapon and worm placement being a slight bone of contention for some players in some rounds. As a returning fan of the original Worms, I’m delighted by what Worms W.M.D has to offer. It’s the best Worms game in years and it is a fantastic place for a new generation of fans to begin with. I still firmly believe that the best gaming experiences are had with friends in the same room, so my advice for playing W.M.D is to call up some pals, grab a bag of snacks and settle in for a marathon session blowing each other into oblivion. Worms W.M.D was developed and published for Xbox One by Team 17 Digital It was released August 22, 2016 for $29.99. A copy was provided for review purposes.